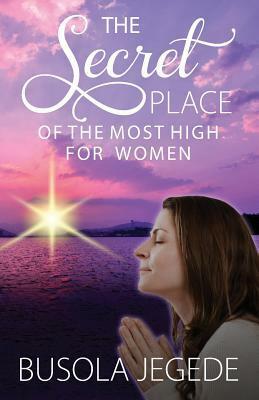 Review: The Secret Place of the Most High for Women by:Busola Jegede | A Simple Life,really?! She was weary and worn out by the vicissitudes of life. Embers of emotions that had flared up can still be seen on her wrinkled face. Her body jerked uncontrollably from the stress of pent-up anger. She wobbled as she took one more step, yet she needed to go on taking those steps in life. How she longed for a shade, the cool breeze, a soft and comfortable place to lay herself down. Here comes another woman with bright smiles, two children trailing her steps. She is taking them on that journey of empowerment for life. Yes, she is about to drop them off in school and she has a full day of activities planned out; a meeting with other young women in church and dinner with her husband. Yet in the midst of these blur of niceties, she longed for that place of refuge where her spirit could connect with her Maker, she longed for that place of refuge, for the cool breeze, a soft and comfortable place to lay herself down. Yet another woman just graduated. Life looked like a shining tarred road waiting for the wheels of a sports car that would roll on it and drive to a far away place where purpose was waiting, where destiny would be birthed. She longed to know what life held for her. At that instant she longed for that place of refuge, for the cool breeze, a soft and comfortable place to lay herself down. Are you a woman of purpose? Then, you need to abide in the Secret Place of the Most High. Busola Jegede is an Intercessor with an Apostolic mandate to raise women in the nations of the world. She is passionate about discipling women in prayer and skillful intercession for the family and the nations. Busola is an ordained Apostle with strong Prophetic unction, she is a mentor to many and runs a prison ministry where she rehabilitates ex-female inmates. She empowers women through the Destiny Business Institute which is geared towards imparting skills and information through trainings, seminars, conferences, business summits and fairs. Busola lives in Lagos, Nigeria with her husband Kayode and their three children. Are you in search of the perfect guide to help you along life’s way, to find that inner peace with God that you have longed for? If so than this is the best devotional that I have seen that focuses on that interpersonal walk with God that most of us eagerly desire. I mean who wouldn’t want to walk closer to Him? The author begins the book with a more thorough understanding of what it means to dwell in and want to dwell in the secret place of the Most High. She has went on to provide a Bible study as well as Prayer Plans to go along with each weeks lesson. Each weeks lesson is provided to you with the author’s personal commentary to further explain the verses regarding the lessons. Equipping you with enough lessons and Bible study to last one year and hoping to fulfill that gap between you and God the author has done quite well. But even though you are shown how to further your knowledge in this area, this is not enough. She has also created a 21 day fasting&prayer program to help you even further on your path to intimacy with the Lord.